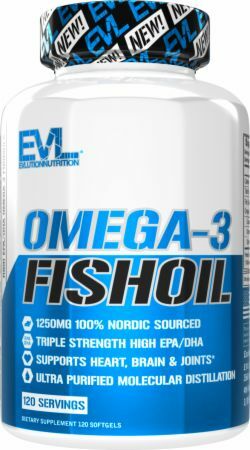 FISH OIL by EVLUTION NUTRITION at Bodybuilding.com - Best Prices on FISH OIL! For a limited time, buy 2 Fish Oil, 60 Softgels for $23! 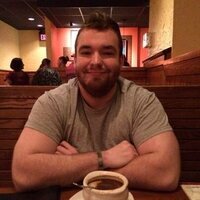 Very impressed with Evlutions products, this is another great product to add to their list. Absolutely no fish taste or burps. No fish taste! Seems to be helping knee pain after running and leg day. Works good but the burps are terrible. No fishy taste, felt a difference after the first week. Would highly recommend this product. No issues easy to take and no after fish taste. 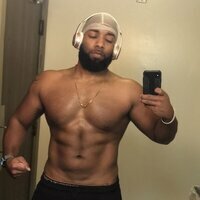 No fishy after taste and has improved my health mentally and physically. Great along the the multivitamin. EVL definitely has quality products. You can find their fish oils among other supplements reviewed by independent laboratories and they provide what their ingredients list. 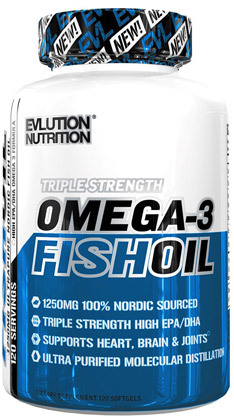 I love their fish oil and will continue to use only EVL! Gelatin, vegetable glycerin, and purified water. Directions For Fish Oil: As a dietary supplement, consume 1 softgel two times daily or use as directed by a physician or licensed nutritionist. Check out other Cardiovascular Health Products.